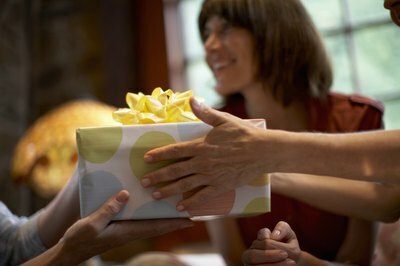 Secret Sister gift exchanges are popular in a variety of women's groups, from Bible study groups to play groups. They work well at Christmas time and near Valentine's Day but also work any time of year. Finding Secret Sister gifts that are nice without spending a lot of money is often challenging. Gifts that are useful or inspirational yet inexpensive make the best options. Cookie cutters work well for nearly any occasion. Look in the baking section of craft or kitchen stores for individual cookie cutters. You'll find a variety of seasonal cookie cutters as well as general themes. Choose one or two cookie cutters fitting of the occasion. 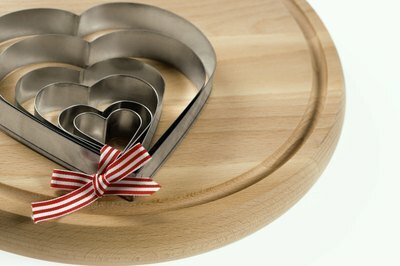 For example, if you're having a Valentine Secret Sister exchange, choose a heart and a cupid cookie cutter. Tie the cookie cutters together using curling ribbon. Print out your favorite sugar cookie recipe on a recipe card or decorative paper. Attach the recipe to the curling ribbon. Another option is to make a batch of the cookie dough. Wrap it in colorful cellophane, and include the baking instructions. Free samples of products are available in a number of places. Discount stores and bulk club stores, such as Costco, often pass out samples for different products. Many companies offer free samples. Collect the free samples if you know a Secret Sister exchange is coming up in the group. 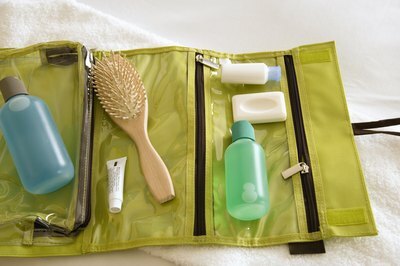 Another option is to head to the travel toiletry section of your favorite discount store. Select a few different products, and place them in a decorative bag for a pretty presentation. Terra-cotta flowerpots are available at craft stores and garden centers for very low costs. Choose a flowerpot and tray in any size. Paint the pot to match the gift-giving occasion. One simple way to add decorations is to use stencils to add images to the flowerpot. Sponge painting with two different colors is another simple option that anyone can handle. Add a packet of seeds inside the pot to round out this Secret Sister gift. Handmade cards bring a bit of cheer to the recipient's day. Craft stores sell blank cards perfect for this type of craft project. You can also purchase plain card stock and fold your own card. Choose decorative scrapbook papers to add personality to the card. Cut a piece of paper the same size as the front of the card to create a background. Add cutout letters and images, stickers and other scrapbook embellishments to dress up the cards. Look through the craft supplies you already have to find inexpensive embellishment ideas. Pampering products always work well as gifts for women. 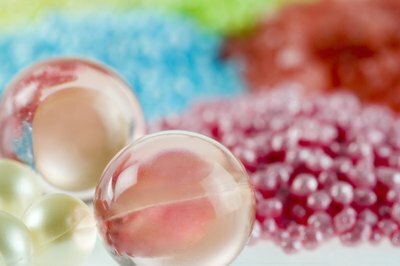 Instead of buying high-end pampering products, look at dollar and discount stores for inexpensive lotions, bath salts, fingernail polish or pumice stones. You can also mix your own bath salts and sugar scrubs to save more money on the gift. For a basic sugar scrub, mix 1 cup of white sugar and 1/2 cup of olive oil. Add essential oils for scent in the sugar scrubs.